Noah appeared on NPR’s Tiny Desk Concert series with 3 other #fttalumni in June of 2018! Watch his performance here. Noah Lee created and founded Back to BACH, a project that encourages young school children to learn musical instruments and create a love for classical music. In 2018, Noah was recognized as a US Presidential Scholar in the Arts. Read more. Noah performed most recently on Show 310, recorded in Aspen, CO, on July 12, 2015. He previously appeared on Show 241, recorded in Washington, D.C., on October 16, 2011. Noah Lee (cello), 18, has been heard multiple times on From The Top. At 12 years of age, Noah won the first prize at the 2012 7th international Tchaikovsky Competition For Young Musicians in Montreux, Switzerland, becoming the first and only US cellist to be given this honor. In 2014 he won grand prize at the 10th International Antonio Janigro Cello Competition in Porec, Croatia and consequently gave his European recital debut at the Euphrasian Basilica in October 2015. Noah was named 2018 US Presidential Scholar in the Arts selected by the White House Commission on Presidential Scholars. He is a 2016 Davidson Fellow, an award given by the Davison Institute for demonstration of an extraordinary accomplishment. As a 2017 YoungArts finalist, he participated in the 36th annual National YoungArts week in Miami where he was awarded the gold prize. Noah was named a 2017 nominee of International Classical Music Awards in Europe. He was invited to solo with the Ensemble Esperanza at the 2017 Next Generation Festival in Bad Ragaz, Switzerland. Noah is the founder and president of the Back to Bach Project, an international initiative to encourage elementary school children to learn to play an instrument and to show the value of hard work and passion. He began with 3 members in Oakland, New Jersey, and since then he developed the project to 13 regions across the United States and 4 regions abroad with over 150 members participating in his project. Additionally, he is a founding member and the principal cellist of Heartstrings Cello Ensemble, a group that is dedicated to provide concerts and performances for local and global missions. Noah will be starting his undergraduate studies at Harvard University in the fall of 2018. 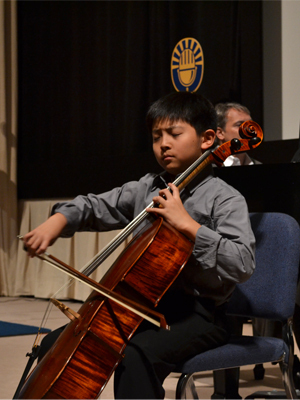 Noah Lee, cello, 15, of Oakland, New Jersey, became the first and only US cellist to win the first prize at the Tchaikovsky International Competition for Young Musicians in Montreaux, Switzerland, at the age of 12. 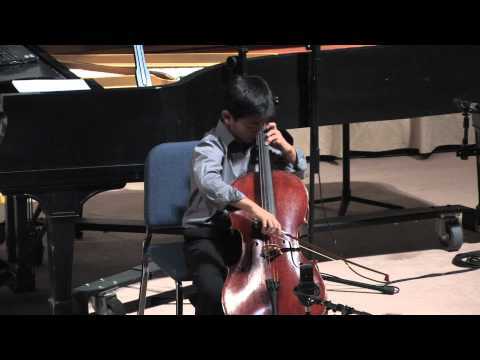 At the age of 14, Noah was again the first American cellist to win the grand prize at the 10th International Antonio Janigro Cello Competition in Porec, Croatia. He performed as a soloist with the Russian State Orchestra under the baton of Yury Tkachenko, and also with Sinfonietta de Lausanne under the baton of Martin Fischer-Dieskau. Noah appeared on From the Top With Host Christopher O’Riley in 2011 in Washington, DC. Recently, he had an engagement with The Princeton Symphony Orchestra in their PSO Bravo concert series under the baton of Rossen Milanov. Currently, Noah is a merit scholarship student at the Don Bosco Preparatory School and studies with Richard Aaron at The Juilliard School, Pre-College Division.